Death's Shadow ($17.89) Price History from major stores - Worldwake - MTGPrice.com Values for Ebay, Amazon and hobby stores! 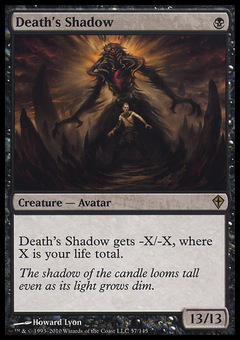 Card Text: Death's Shadow gets -X/-X, where X is your life total. 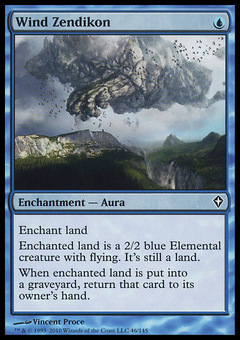 Flavor Text: The shadow of the candle looms tall even as its light grows dim.